Volvo designs with their stoic minimalism have traditionally aged well. A mid-90’s 850 sedan with its high trunk or 850 wagon with taillamps dominating the D-pillars, just like the latest Escalade, still look remarkably fresh over 20 years after their debut. Another enduring design released in the early 2000’s in Volvo’s first SUV, the XC90. 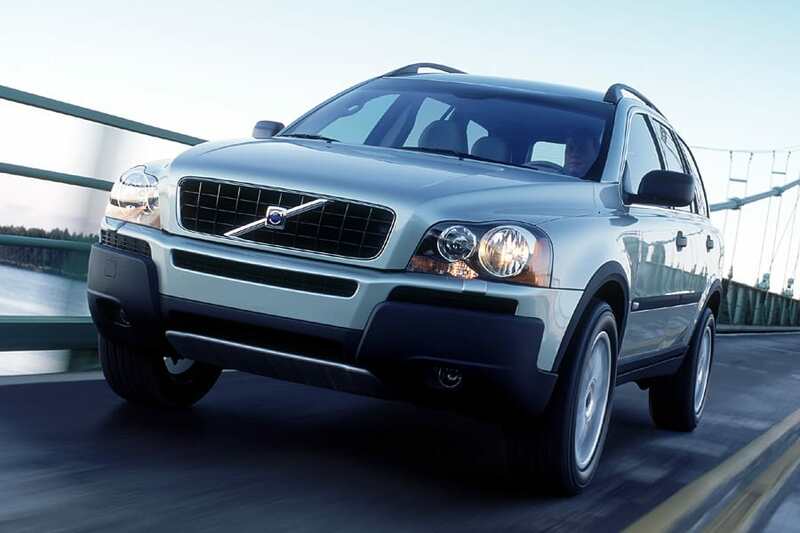 Released for model year 2003, the XC90 was a home run in terms of both sales volume and styling. Just enough height was added to make the car-based XC90 look rugged, while its fluid lines create a purposeful look. Penciled in during the brand’s “Revolovlution” era, a high water mark for Volvo design, the XC90 came together in a very cohesive package. Plastic cladding was liberally applied, but to good effect, giving the XC90 a rugged appearance while simultaneously reducing visual mass, especially upfront where it was expertly incorporated to the bumper to give the design a sense of lightness that belies its size. Sadly, with the facelift in 2007 the front bumper adopted a more conventional look that took away from the athletic stance by removing the cladding beneath both headlamps. 2003-2006 Volvo XC90 styling was punctuating with tastefully applied cladding. A facelift saw much of the cladding replaced or toned down, which in turn added visual mass and made the XC90 look heavier and less rugged. The first application of Volvo’s signature D-pillar taillamp design aesthetic to an SUV was quite successfully executed. The large taillamps with their narrow peaks leading down to the hipline where they widen, managed to look better here than on the V70 wagon of the same era. A pre-facelift element that reduces visual mass was the circular turn-signal and reverse lamps mounted in a staged arrangement. It’s playful without being frivolous and aged better than the more traditional tiered arrangement found on the facelifted design that would appear in 2007. Pre-facelift taillamps with staggered turn signal and reverse indicators lent the design a sense of levity as they almost appeared to be floating. A more staid and conventional taillamp assembly was deployed for the 2007 facelift, which took away from the vehicle’s character. The latest XC90 was released in 2017, and was the first major update for the nameplate. It builds upon the unique, albeit toned down over time, styling of Volvo first SUV.